Asmara (HAN) August 15th, 2017 – Public Diplomacy & Community Festival for Diaspora involvement about investment and trade. Attendees continue to enjoy the BBQ, sport activities and merchandise that will continue throughout the weekend until the closing ceremony. The Eritrean community festival in Eastern Canada that was held from 5 to 7 August concluded with patriotic zeal highlighting different programs portraying the unity and identity of the Eritrean people. 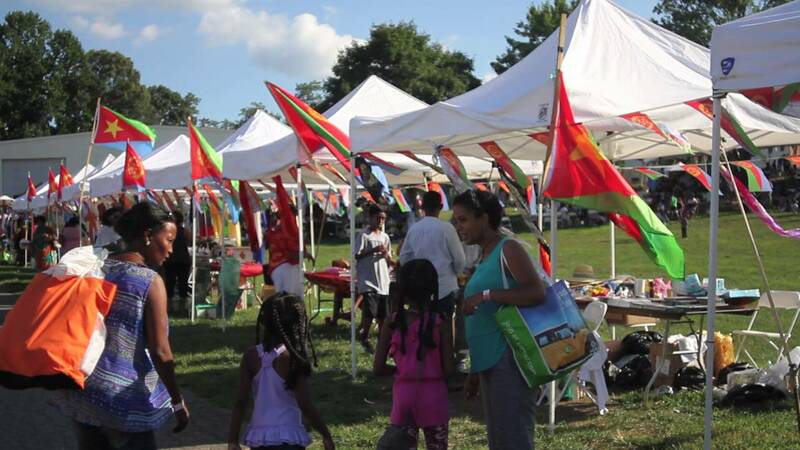 The festival in which a number of Eritrean nationals from across Canada participated was officially opened by the head of the Consular Affairs, Mr. Ahmed Iman. Speaking at the occasion, Mr. Ahmed pointed out that the festivals the Eritrean nationals annually organize are indicators for the unity and societal values of the Eritrean people and that their influence is growing from time to time. Mr. Ahmed also gave seminar on the objective situation in the homeland and on consular activities. Underlining the uniqueness of the Eritrean festivals in the Diaspora in portraying the true image of their country and societal values, the Chairman of the Holidays Coordinating Committee, Mr. Temesgen Tirfe expressed appreciation for the effort exerted to realize the event. The festival was highlighted with cultural programs, sports activities and discussions forums as well as artistic performances.